Dexter, how I love thee. It hard to find some reading time these past two weeks. When I did find the time, what better way to spend it than reading a Jeff Lindsay novel. If there are authors I would like to emulate, Jeff Lindsay and Robert Crais – with their wit, humour and thrilling plots – would be at the top of my list. This outing sees even more of the witty insights into Dexter’s world, my favourite being the final exclamation by Astor, Dexter’s step daughter. I can’t give this book five stars, because it isn’t as strong as the others in the series. Crunch time hits in the plot about page 200 and is the taut and witty Dexter we know and love. 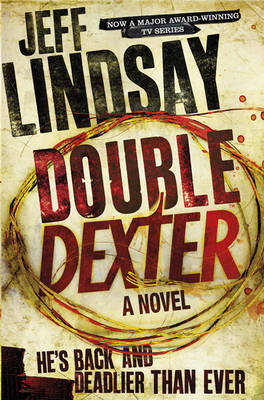 I don’t normally say this about books I read – as I object to it myself – but sticking with this Dexter outing is well worth it. Does the book series stay strong through out? Or does the series slip into lameness like the T.V. series? I have been interested in reading the books, but have heard some not-so-nice things about the later books. The first two are great (Darkly Dreaming Dexter and Dearly Devoted Dexter). I haven’t read the third (he loses his dark passenger) and probably won’t. The fourth and fifth are great (Dexter by Design and Dexter Is Delicious). This latest one isn’t as good as the previous two, but it is still pretty good. Remember, Jeff has a pretty high literary standard to his prose. I also remember him saying that he had writers’ block mid way through this book, which probably explains why the last half is so good and the first half feels laboured in comparison.